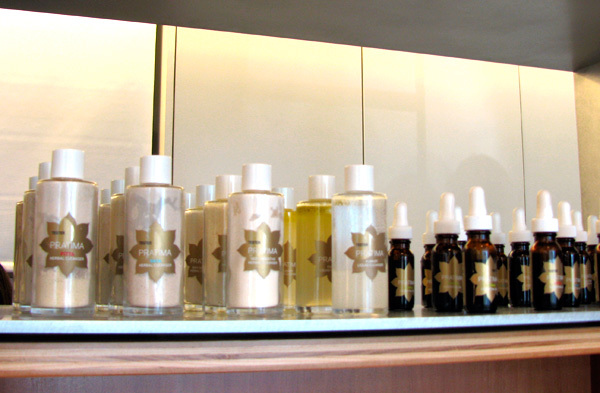 While dropping something off for Andy at A+R in venice, i popped next door to Vert, the “high end luxury retail store specializing in all natural, eco-friendly products” primarily focused on health and beauty. 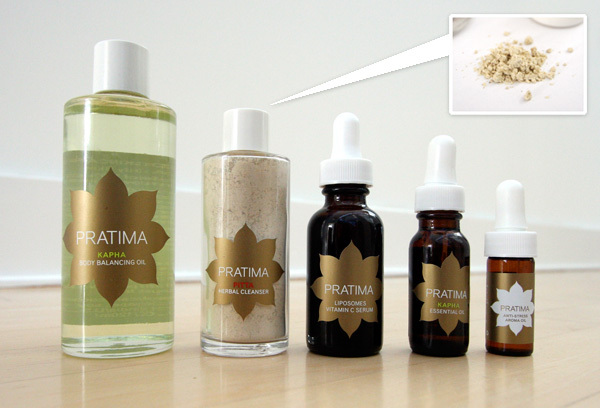 While there, i was drawn to the packaging of the Ayurvedic line, Pratima. As they showed me each and every product, and explained the process of the products, i was as much intrigued by the experience of each product (from smells to textures) as the packaging and background. 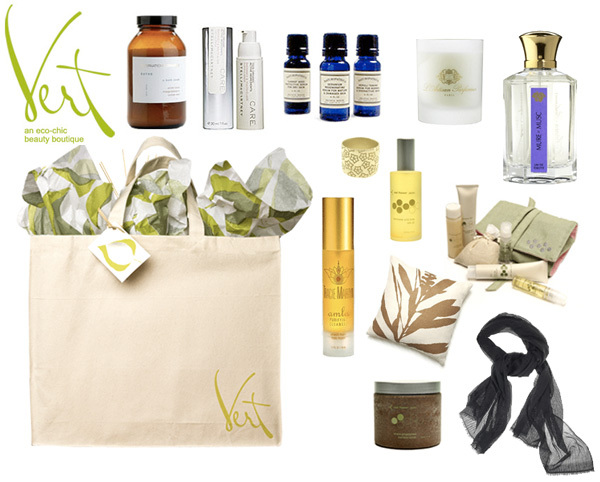 Completely natural, ingredients from india, the only spa/clinic in Soho, and Vert is the only one carrying the line outside of the Pratima Spa. The line is also surprisingly affordable. 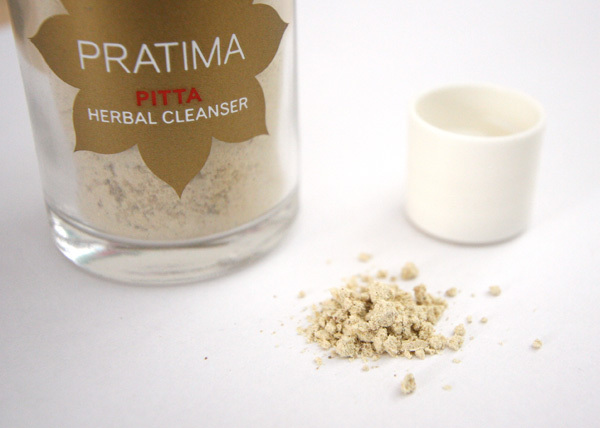 The facial cleansers start out in a sandy, powder which you mix with water. For moisture, you mix a few drops of the liposomes with a few drops of the essential oils and massage it into your skin. 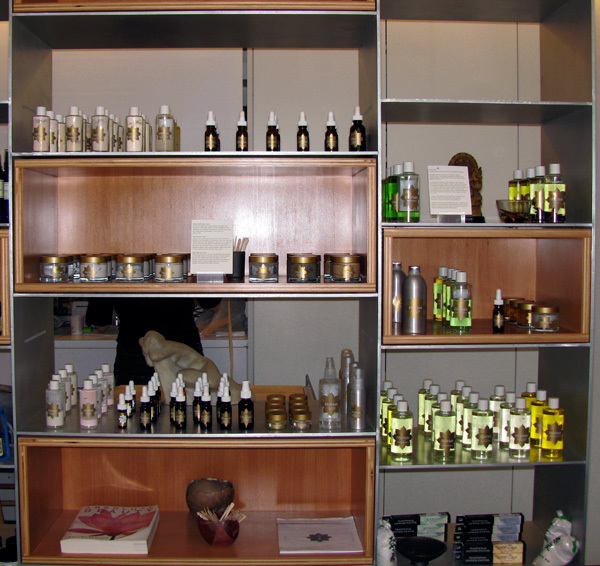 Additionally they also have masks, oils for various treatments, body oils, creams, and more. The Anti-Stress Aroma Oil is already doing wonders for my workaholic day! Take a look at the next page for more pics of the packaging and display, as well as some background on Dr. Pratima Raichur, and a peek at Vert! I couldn’t resist pouring out a bit of the cleanser to show you the texture ~ it looks like superfine sand, and upon touch, is a very very fine powder. Dr. Pratima Raichur is a chemist, botanist, doctor of naturopathy, ayurvedic physician, and best-selling author - known for pioneering the modern field of Ayurvedic health and beauty care. Can’t help but be amazed that she began her education in the space at 13, as an apprentice to one of India’s foremost Ayurvedic physicians, Dr. Rele… worked as a researched in England, and has found the balance and correlation between modern science and Ayurvedic traditions. As for her greener side ~ when her spa moved to Soho in 2006, it became the first day spa in NY to be built in accordance with the guidelines of the US Green Building Council’s LEED committee.